Published in the Dover Express, 2 January, 1981. 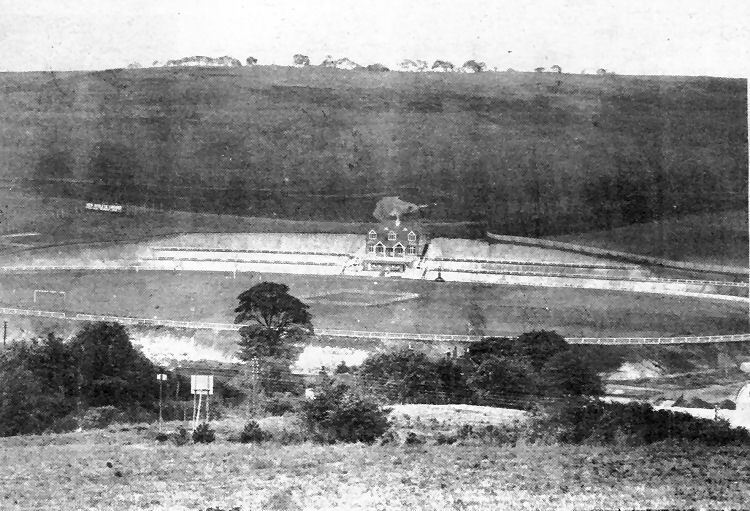 Owing to the difficulty of providing facilities for rifle practice at Dover, the Corporation, in order to prevent the troops of the garrison being sent away for rifle training, in 1903 provided a rifle range In the Hay-cliffe valley — now known as Aycliffe — beyond Shakespeare Cliff. The Dover retail market was built in 1846 and for many years proved very popular. Later the Corporation provided better accommodation in the Market Hall which became a bazaar of lock-up shops. A wholesale market was held in the open Market Square and was once far more important than it ;s today with market gardeners and farmers from all the surrounding district flocking there to sell their produce. There was also, for many years, a wholesale fish market at the Crosswall Quay, and visiting trawlers used to sell their catches there. The Castle Forelands include the pleasant slope on the west front of the Castle, bounded by Old Castle Hill, Maison Dieu Road, Connaught Road and Frith Road. The land formerly known as Tinker's Close and Maison Dieu Fields is now merged in the following streets and places: Harold Passage, Harold Street. Harold Terrace, Taswell Street, Leyburne Road. Castlemount Road and Godwyne Road. This once consisted of cornfields and gardens; yet it is not devoid of historic associations. In February, 1878, when the grounds in front of Castlemount School were being excavated and terraced, there was found six feet below the surface a British torque, forming an armlet of five coils, weighing twelve ounces of pure gold. Another torque was ploughed up in a field at Dover in 1772, which the finder melted, producing nine ounces of gold; but the torque found in Mr. Robert Chignell’s excavations in 1878 was the finest example on record, and it has been placed in the British Museum. This valuable bracelet was, no doubt, lost by or stolen from, some British lady, and being hidden by the undergrowth, in the course of fifteen or sixteen centuries it had been gradually buried by alluvial deposits to a depth of six feet, where Mr. Chignell's workmen found it. When that ancient ornament was lost on this hillside, the Castle above it was an insignificant fortress compared with the massive walls, watch towers and keep with which the Norman kings crowned the eminence. The knights, men-at-arms and retainers who garrisoned the Castle in the Middle Ages drew after them a medley of camp followers, who occupied this slope, keeping a market for the supply of soldiers. As years went on this market comer of the Warden's Down came to be treated as a common, frequented by gipsies, pedlars, tinkers and other wayfarers, whereby the place obtained the name of Tinker’s Close. That name remained long after the market was gone and the land became private property, but the part of it bordering on Eastbrook was, in popular estimation, long regarded as "No man's land,'' owing to which circumstance, as recently as 1842 when the Shakespeare Cliff tunnel was in the making, the navvies organised a great prize fight on the spot, the place being supposed to be out of police jurisdiction. Even twenty years later, “Tinker’s Hole,“ which is represented by that depression in the land just over Harold Passage wall, opposite Harold Street, was occupied by the rude hut of Widow Hopper, that being the last remnant of common right attempted to be exercised on Tinker’s Close. Many years before St. James’s Church was built the land around it was a hollow, and the spot where the church stands was a pond, which tradition said had previously been connected with Woolcomber Street harbour — which is very probable, for when the drainage was laid in the centre of the road opposite the church, traces of a riverside quay wall were found. It is possible, however, that the “hole" was part of the excavation made there by the French, under the Dauphin, when attempting to burrow a subterranean way to enter the Castle. The Maison Dieu Fields were part of the ancient possessions of the Hospital of the Maison Dieu, but a long while before the suppression those lands were held by the Lieutenant-Governor of Dover Castle at a rental of £12 a year. After the Reformation these lands reverted to the Crown. For many years these fields were attached to the Maison Dieu Farm, and when in the occupation of Mr. C. B. Gorely, in 1853. he proposed to start brickmaking on the land where Harold Terrace was built, but owing to a vigorous protest made by Dr. Sillery, Dr. Sankey, Dr. Rutley and Colonel Hammond, the Town Council, under the powers of the Health of Towns Act, vetoed the undertaking. Coming to the public thoroughfares, the first to be mentioned is Harold Passage, which is an ancient footpath with a new name. In its full extent, from Cannon Street, across the Dour, and up the slope to the old Castle Hill, it was called Dee Stone Lane until 1862, when the section from the Maison Dieu Road to Laureston Place was called Harold Passage. This path was the subject of a good deal of discussion at that time, its existence being objectionable to the committee who built St. James’s new church and rectory. On the 9th of October, 1862, the Town Council, by an order of the Managing Committee, directed that it be closed, it being alleged that it was “a frightful nuisance,“ but the resolution was rescinded owing to the strong protests of the inhabitants. The settlement eventually was that the Corporation should pay the Church Committee £16 10s. for widening Harold Passage beside the church, on consideration that a road should be left at the back of the church to connect Harold Passage with Captain Taswell’s estate. Grabble Athletic Ground pictured from Crabble Hill before the official opening, on Whit Monday 1897. Note the absence of pine trees subsequently planted to encircle the first-class cricket oval and the cycle racing track on its perimeter. Four prominent local men were responsible for providing the grounds, Mr Frederick Finnis, Mr Hayward, Mr Alfred Leney and Mr J. Stilwell, who were complimented at the opening ceremony by Dover's MP Mr George Wyndham, who referred to their courage, public spirit and liberality in launching the project. The opening was followed by a race meeting organised by the Dover Cycling Club, which attracted entries from as far a field as Brighton and Middlesex, 6,000 people passing through the turnstiles. In 1902 the grounds were acquired by the town for half the original cost, which was about £11,000. It was nearly 30 years later that the football ground, on a higher level, was cut into the hillside on the right of the picture. Several years later, in 1933, Dover Corporation bought land which formed part of the old Elms Vale Dairy Farm to provide a recreation ground to serve that expanding residential area.